Rooms and Studio for Rent directly on the sea. Simply Unique !!! Villa STENELLA is located on the island of Paxos only 800 meters from the town square of GAIOS, surrounded by olive groves and the sea. It is a building in the stone. Just 20 meters below the house is a beautiful cove / beach with stones and just next to the fishermen's tavern. Although located near the center of the village, Gaios is a very quiet location where you can enjoy the sounds of the countryside. If you are more people please ask me the price before booking !!!! This property is located 1 minute walk from the beach and 10 minutes from the center of Gaios, but in a particularly quiet location. Villa Stenella di Gaios offers barbecue facilities and a garden. Luggage storage and a terrace are also available. Wi-Fi is free. Air conditioning, central fan with adjustable speed. The suite features a flat-screen TV, a private bathroom and a shower. 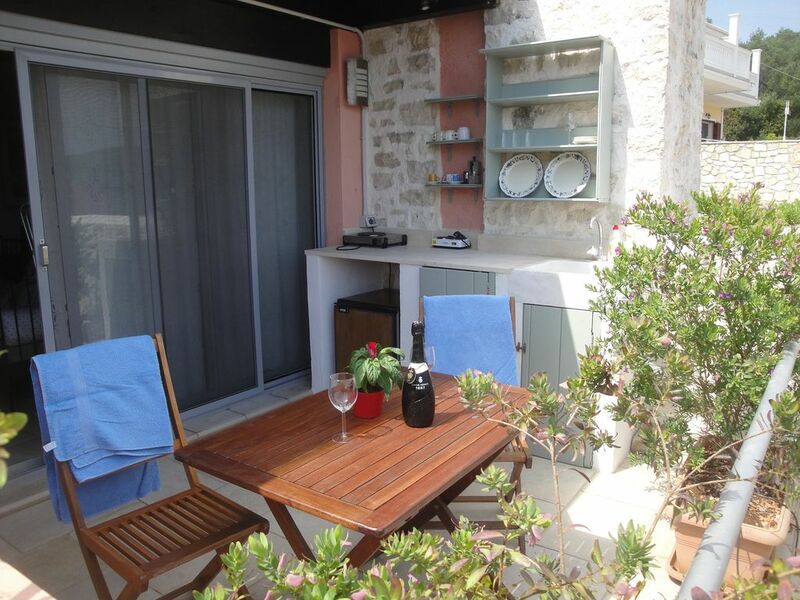 The suite also boasts a balcony with the possibility of a kitchen with a wonderful sea view. This property is also in a position rated among the best in Gáïos! Guests like it more than other facilities.